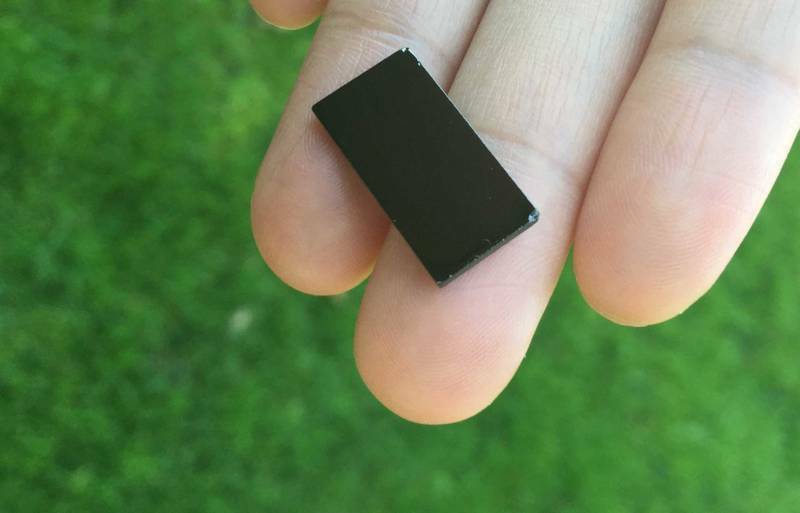 A tiny black tablet could prove to be a very big deal from impoverished countries to the Pacific Crest Trail. 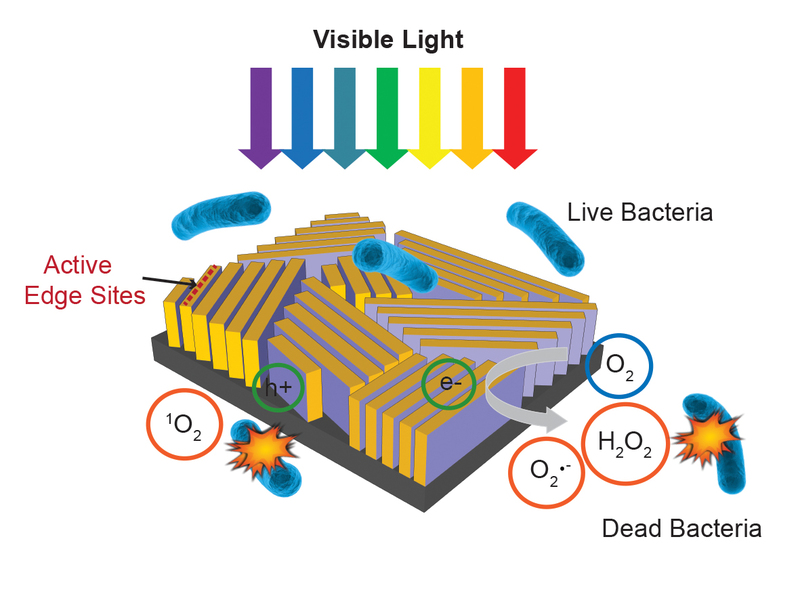 Researchers at SLAC National Accelerator Laboratory and Stanford University have developed a tiny, Chiclet-sized device that uses solar energy to disinfect water. During lab experiments, the device killed 99.999 percent of bacteria present after just 20 minutes. Unlike boiling a pot of water which requires fuel or purifying water with an ultraviolet wand, which requires charging, the tiny tab needs only sunlight, and can be infinitely reused. It's also more efficient. UV rays, commonly used to purify water, carry just 4 percent of the sun's total energy but the still unnamed device harnesses the the visible spectrum, which contains 50 percent of the sun's energy. The device looks like smooth black glass to the naked eye, but when its microscopic layers of "nanoflakes" are exposed to sunlight, they trigger chemical reactions that kill bacteria in water. The key compound -- molybdenum disulfide -- is a lubricant found in industrial grease. Sunlight stirs its electrons to move and the holes they leave behind have activated energy. This means they can participate in chemical reactions with oxygen and water to produce hydrogen peroxide, which kills the bacteria. After the bacteria died, the chemicals quickly dissipated, leaving pure water behind. "When you see there's no bacteria growing, it's really exciting," says Chong Liu, lead author on the report, which was published in Nature Nanotechnology on Monday. "We didn't expect it to work that well at first." But during lab experiments, Liu says the device killed 99.999 percent of the bacteria present after just 20 minutes. The tiny purifier could have a big impact. According to the United Nations, more than 780 million people around the world lack access to clean drinking water. It has its limitations, however. The device can't remove chemical pollutants like lead and hasn't been tested on viruses yet. Researchers say it was 100 percent effective when tested on two types of E.coli and Enterococcus, a type of lactic acid bacteria. One can imagine the potential market for wilderness backpackers, but Liu says a prime motivator for her was the chance to improve environmental conditions in developing countries. "As a researcher it's really exciting for us to see that by developing technologies you have the potential to help a lot of people." The next step will be testing the device in real-world settings. After that, it would take a few years before the purifier is commercially available and will, ideally, cost less than $30.